This quote could have come from my own autobiography, should I decide to write it. As someone who reads books about books compulsively, I’m always on the lookout for anything new in this genre. Often I’m disappointed by either lightweight content or lack of a really interesting style, neither of which describe this memoir. Books like this need champions to proclaim their glory. 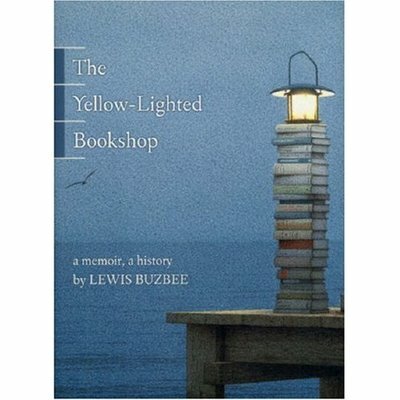 They’re little books, from the standpoint of having to battle the heavy-hitting bestsellers but huge if you are anywhere near as enamored with books as Lewis Buzbee. This book deserves as wide an audience as it can get, but it’s largely by word of mouth that so many small press books achieve that. So, give it a read and proclaim it to all the world! As countless other readers will likely agree, I identified with so many aspects of this book, from the author’s musing on the My Weekly Reader book orders of his grade school days through his various bookstore jobs. His wonderful side-trips into the history of the book itself made for fascinating reading, adding to what could have been a fine stand alone memoir of book lust and bookselling. Absolutely wonderful stuff, and a must for all the book-obsessed.